In ancient Rome, children played with the same toys as kids of most eras and cultures: dolls, balls, hoops, kites, hobby horses, toy weapons, etc. There were also creative toys like building blocks, models, miniatures, and a Roman version of Play-Doh made from colored wax. Boys might build toy boats or chariots for war games; girls might string beads or make knotted rag dolls. Both genders enjoyed sports and ball games, and to keep the mind fit there were educational toys like carved letters, brain teasers, and even an ancient ancestor of tic-tac-toe. Board games were hugely popular with both adults and children – while games of chance were associated with gambling, which was frowned upon for children (and for women, though they did it anyway), in theory everyone could play board games. 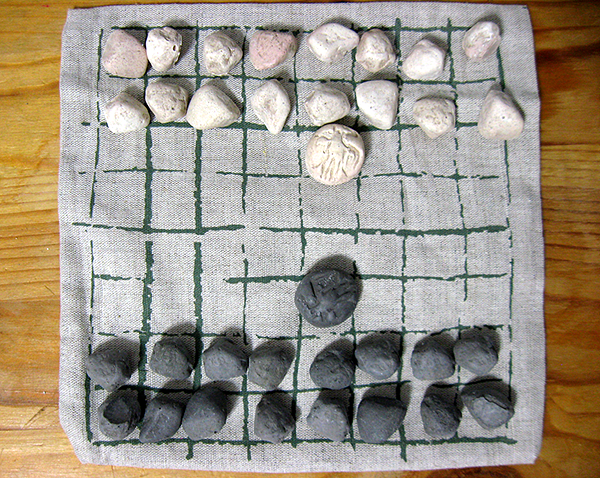 Roman board games were generally two-player strategy games, played on a table made of stone or wood and using enough counters, markers, pieces, and dice to fill any nerd’s D&D box. (No 20-siders though, alas.) 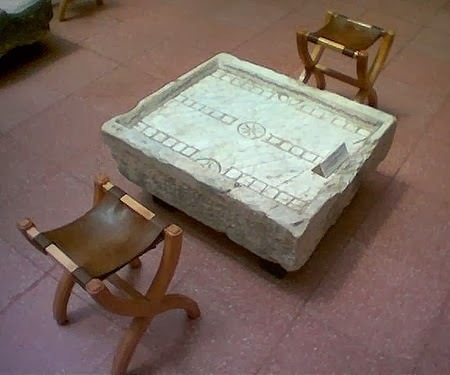 Game boards and pieces have been found in homes, temples, barracks, and public spaces all over the Roman world, and we know how to play several of them. Here are three of the most common games, along with some of their variations. 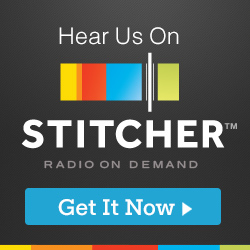 Ever wonder why jacks are shaped the way they are? Google “sheep ankle bones”. Jacks is the direct descendant of knucklebones, one of the most ubiquitous and frequently mentioned Roman games – true, it’s not really a board game, but it was so popular that it deserves top spot in this post. It was originally played with the astralagus bones of animals, which were replaced by pieces carved from wood, stone, bone, or even glass. As with jacks there were many game variations, some involving coins or other types of game pieces. Knucklebones weren’t just for kids, though – they were also used by adults for gambling, fortune-telling, and casting omens. (Hence “roll the bones”, a metaphor for risk-taking as well as an excellent Rush song). Today knucklebones are still made from actual bones in Mongolia, where the game remains popular with kids. bag that doubles as a board. Thanks, Ine! This game is often called “Roman chess”: two opponents captured each other’s pieces by moving around a grid one square at a time. The size of the board determined the difficulty; the bigger the grid, the more pieces were used, and the more skill it took to win. Advanced players arranged their pieces all over the board to start (rather than lined up on each end), which required even more strategy. There were also much simpler variations like Calculi (Counters), which was essentially Roman Connect Four, except you connected five. 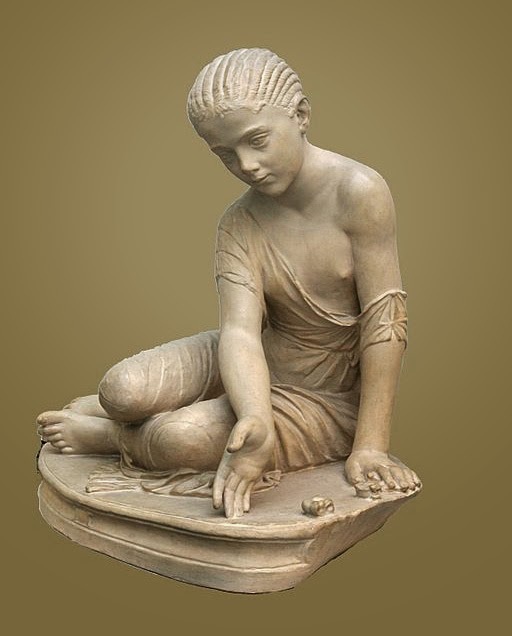 Like knucklebones, latrunculi pieces were made from a variety of materials, and boards could be anything from a marble table to a grid scratched in the dirt. I have my own latrunculi set, sent to me by a friend from a Roman souvenir shop in Egypt. It makes me even prouder of my title as Connect Four champion of the 5th grade. So in addition to a toy collection that any child today would recognize, little Romans would have grown up playing many of the same games as their parents. As we might expect from a culture so enamored with sports, contests, and gambling, the ancient Romans were serious gamers, and that love of gaming started in childhood. Thank you for your site post.|Much thanks again. |Great.